The Wall Street Journal is the most respected source for business and financial news and information. Cash back available for paid Subscriptions. 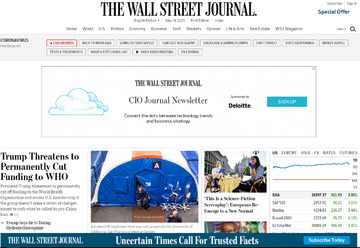 Click a Coupon or click Start Shopping to earn $10 Cash Back at The Wall Street Journal.